Welcome friends glad to see you all back once again! I hope all is well in your neck of the woods. We’ve been having a very beautiful summer over here in New York. Great weather. What a week friends of Middle Earth. Last week’s incident with the rebar flying off the building is not going away. We’ve been shut down all week and the stress level has reached a fever pitch. Stress level: High. Very high. The good news is that the building department is supposed to show up here sometime Monday morning to get us going again. We shall see. I did get something done over at the house this weekend though so that wasn’t too bad. I set up the air sealing and the waterproofing for the master bedroom window. It took a lot longer than I expected. Almost 3 hours. I got a late start to boot. The whole situation down at work has been a bummer and I just wanted to relax a bit Saturday morning. Cooked a very delicious strawberry pancake. It was worth the wait. On top of that I had been looking forward to going to a Met game with the Editor Saturday night. She got me tickets for my birthday. What great seats. Just below the press box behind home plate. 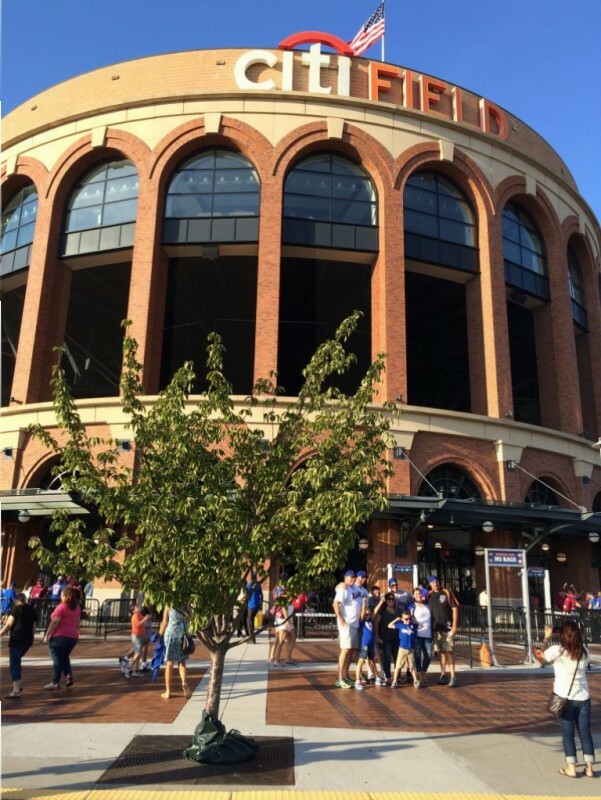 The Mets slaughtered the Phillies 12-1. It was a good game for morale. We’re in the wild card race and just 2.5 games out with about 30 to go I think. Let’s go Mets!!! What a nice evening we had. As you all know I really haven’t been to the house for a few weeks now. When I got there I was really surprized to see how much the roof has grown. It’s really filling in well. Check it out. Roof is really greening up. 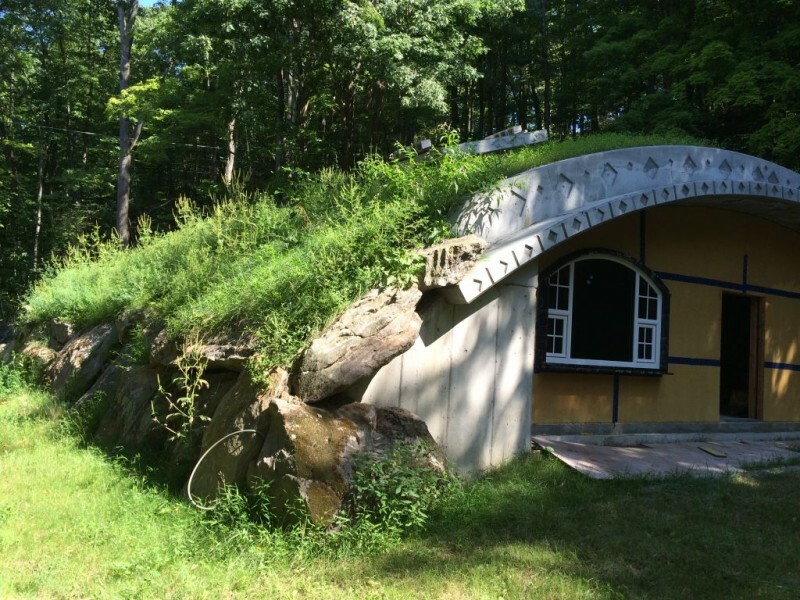 Now that’s a real Hobbit House roof! As I was saying before, I worked on the window sealing in the back. To do it right is actually a slow process. 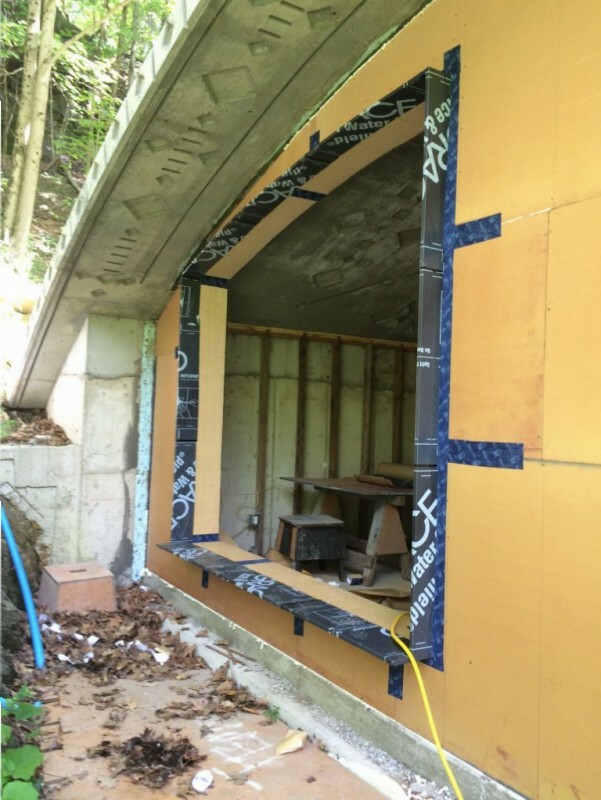 The air sealing of the house is one, if not the, most important aspects of a Passive house. 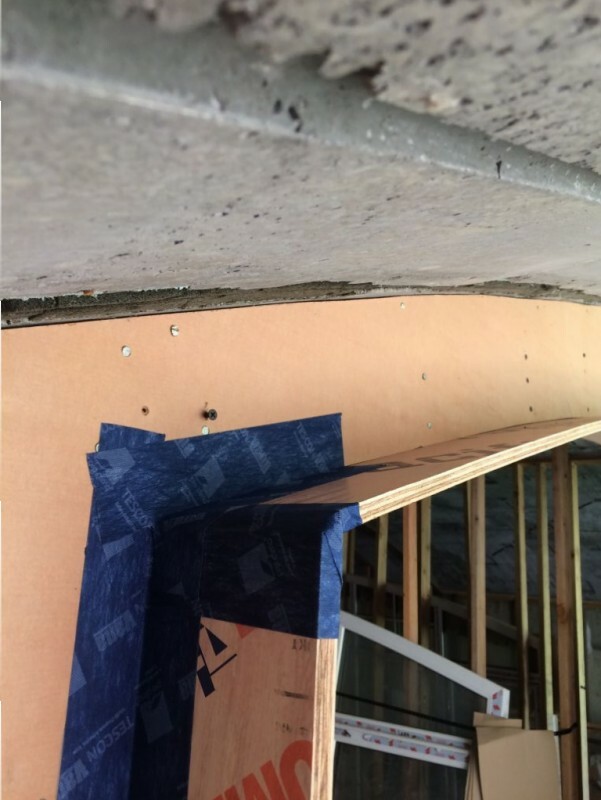 If your house is not properly air sealed it really doesn’t matter how much insulation you use. The house just won’t keep the heat in. Check it out. Air sealing the window framing. All of the joints must be air sealed. Later on after everything is closed and locked up we’ll do what they call a blower door test. This test indicates how airtight the house is. You basically close everything up and seal a fan to the front door. The fan gets turned on and they measure how much air is sucked into/or out of the house under a certain amount of pressure. I’m not going to get into those details here because we are quite far away from doing that. I really don’t want to bore anyone with pressure testing today. Anyway, here’s a picture of the window completely air sealed and waterproofed ready for window installation. Hopefully next week. Master bed window air and water sealed. Oh, and by the way, Georgia is doing pretty well over in Spain. One week down 41 more to go. What she’s doing…. I definitely would not want to do. She’s lovin’ it. Terence has his first football game this coming Saturday so that will be exciting. Can’t wait. And hopefully we’ll get that window in!